or by turning the key in the lock. Press the appropriate button for about 1 second. and fold the key away. remote control to open all the windows automatically. within 15 seconds, otherwise the alarm will be triggered. t in order to tilt the roof open/closed. 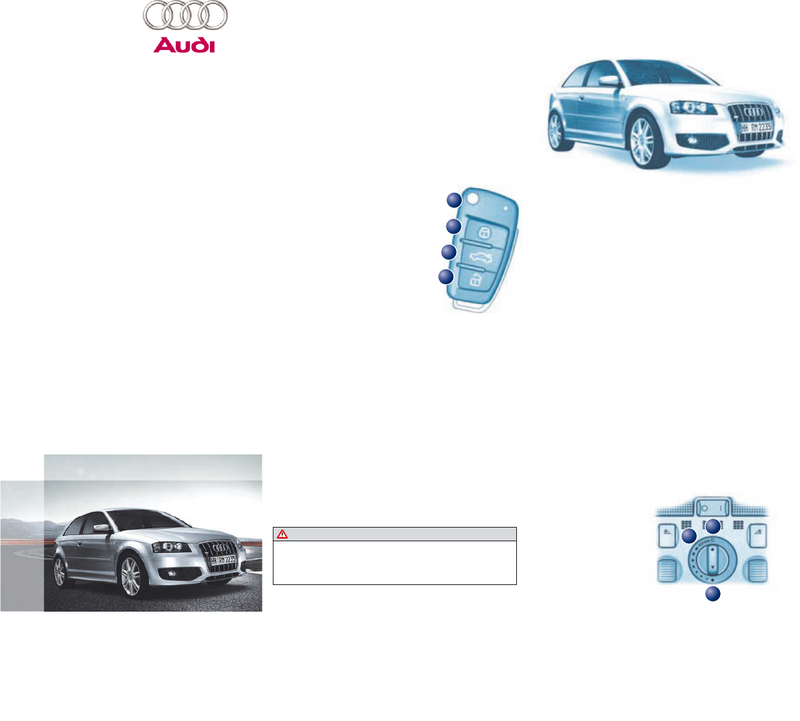 Audi is a well-known brand selling different stuff like automotive. We have 18 great reference books related to this manufacturer . Now you're reading a user guide for Audi Automobile S3.